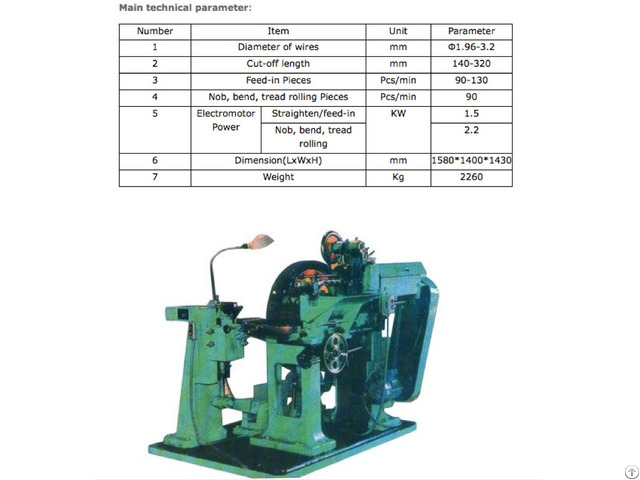 Zf 78 Bicycle Spoke Making Machine can straighten, cut, feed, nob, bend & do thread rolling for wires as a whole process reliably, continuously and automatically. They can also complete each technical process individually. Nantong Tianhai Machinery Manufacture Co., Ltd. is reorganized on the base of original Nantong Jinghai Machinery Manufacture Co., Limited and now it has developed into a professional & large scale machinery manufacturer. The Company is located in Rudong County Nantong city in Jiangsu Province, just on the south side of coast defence highway, adjacent Yellow Sea and border the 204 national highway in the west. It's about 50 kilometers far from Nantong Xingdong airport & Xingchang railway, so the traffic is very convenient. Posted By: Nantong Tianhai Machinery Manufacture Co., Ltd.
Our company has been dealing in machinery manufacturing for so many years. And "NTH" series machine, such as spoke combination machine, automatical straightener & cutter, diameter-varying machine, thread rolling machine, spoke parent machine and floorslab molding machine, cutting machine, axial flow thresher machine etc. Have been sold to more than twenty provinces & cities in China. The company is powerful& has strong technology. It has been recognized as "Nantong City Civilized Company", "Honor the contract and keep the promise Company of Jiangsu Province" and authorized as "Good Overall Quality Control Company" by Chinese agriculture dept.